Just Chillin' is what you'll be doing when you carry around a tote bag like this. 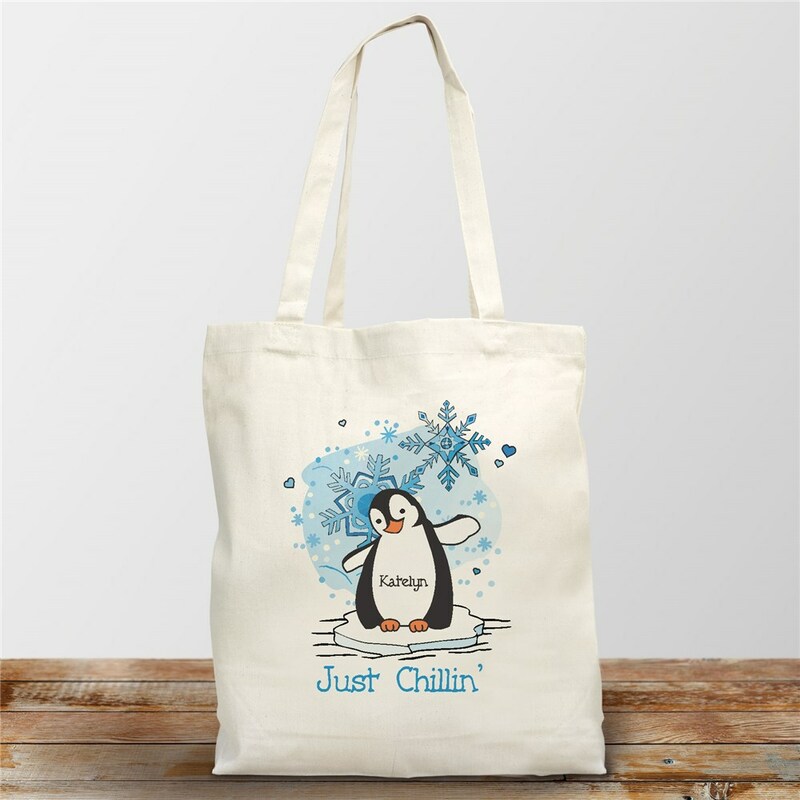 Personalized with any name, this tote bag featuring and adorable penguin, will make a fun gift for all. I really liked the personal canvas tote bags. They appear to be made very well. GiftsForYouNow.com offers a large assortment of Personalized Canvas Tote Bags for Grandma, Mom, Sister & Aunt. Create a Personalized Gift just for them for their birthday, Mother's Day, Grandparents Day, Anniversary or Christmas.